Investing in Central Florida Real Estate can be very rewarding. 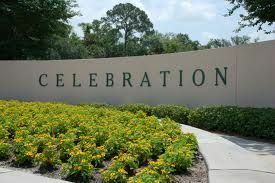 Over the past several years prices are steady in the Disney area and new developments are everywhere. There are great opportunities here from new preconstruction pricing to foreclosures that are fading fast, you will be sure to find a fantastic deal with appreciation almost immediately. Each paragraph below runs chronologically so you can take the right steps in learning more why and how to invest near DisneyWorld. Goals - Investing in another area other than what you are accustomed to can be daunting at first, however with the right contact and a little research it can be a smart choice. Take the time to map out whether you want this home, or condo, to be strictly a second home to visit a few times a year, a rental investment or even both. Knowing this up front will help us better your search as certain properties are beneficial to each. Ability to Purchase - There are many ways to buy Real Estate these days. The two most popular of course being cash and financing. You can go far with cash, however financing is available...there are even Foreign National Mortgages available so if you are living in the north pole and don't have all the cash, we can even accommodate you! Build or Resale - This will all depend on your needs and wants. There are extraordinary opportunity for either right now. There are options now to build in new developments and even custom build in Resort Golf Communities. From 2000 - 20,000 sq ft homes, there is something for everyone. A few key developments right now like Solara Resort, ChampionsGate Retreat and Reunion Resort are offering beautiful homes, Resort style at excellent prices. Both Resorts offer fantastic rental income. Reunion Resort is the area's premiere Resort and there are no duplicates within a 20 mile radius. This is the only vacation home community where you can build custom vacation homes to use as a second homes or vacation rental investment. Let us introduce you to Orlando's best kept secret! Orlando, Florida is the Vacation Capital of the world! Investors from all over the globe purchase Real Estate here because of its fabulous weather, Golf Courses and the lucrative Vacation Rental Business. For many years now, the State of Florida has allowed homes and condos to be used as vacation rentals. This due in part because of the millions of travelers here each year need a place to stay and prefer the spacious comforts of home and not a cramped, stuffy hotel room. Not only will you have a second home in the Sunshine State, but you can also use this home to offset costs and in most cases even profit. View more details about Vacation Rental Investment. Home Sales Near Disney features a "Stay and Tour" program so you and your investors can stay in one of our Luxury Condos and Tour the area and the many opportunities. This is a great way to visit the area, see first hand how a vacation rental works and actually stay in one. Learn more about our Stay and Tour program. Central Florida is booming right now with a population boom so there are several new residential communities that are being built from lakefront to estate to starting residential, there is something for everyone in the area. If you are serious about investing and would rather just speak to someone, please contact Matthew directly at (863) 420-7247 or use the contact form to the right and he can help you understand the area better. Learn more about us and what experience past buyers have had. Why Buy Your Home with Home Sales near Disney?